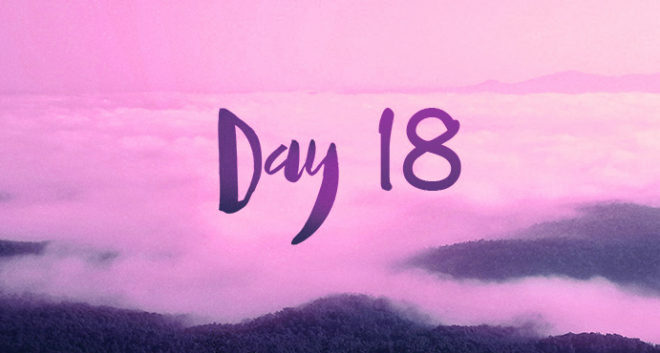 If you cannot see the Day 18 video above, please click here to view. So I gained 100 gms since yesterday. I feel at this stage, if you have 100 gms extra of the wrong food, it shows up as 1 kg weight gain on the scale. But then, what is wrong food? Besides the easily understood ‘no-no’ stuff like sugar, refined flour, fried foods, what really works for you in weight-loss may not work for someone else. I have now got a fair idea of what works for me. Cabbage certainly does. In any form. But there is a soup that you can make out of cabbage, along with capsicum, tomatoes, celery, parsley, mushrooms and spring onions. That works like magic; you can stuff yourself with it. I do not quite like the taste, but you can add some tastemakers like the Maggi chicken stock cubes or any seasoning or low fat sauce that you like. In fact there is a diet called the ‘Cabbage Soup Diet’ which is supposedly very effective. It has to be followed for a week; however it may not be a very healthy way to lose weight as it essentially relies on a drastic reduction on your daily calorie intake. What I understand clearly now is that a change of food habits alone is not effective after the drastic loss in the beginning. It has to be coupled with physical activity if someone is overweight and wants to reduce weight the healthy way.